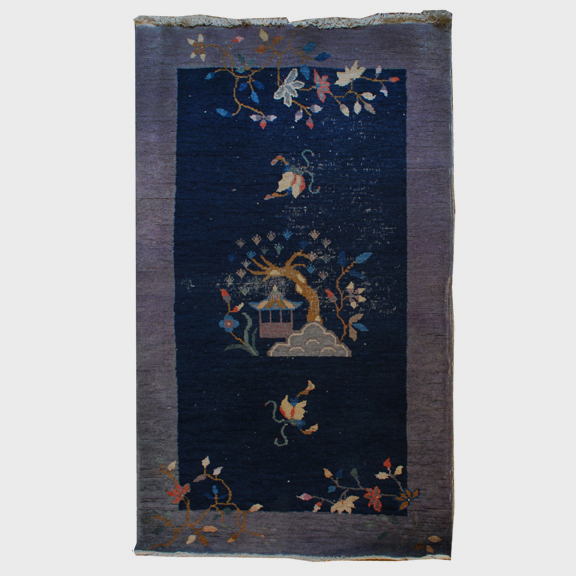 W: 36.0" D: 60.0" H: 0.25"
Taking months or even years to create, this handwoven carpet is made of the softest wool dyed with natural and vegetable dyes, including indigo that produces the luscious, midnight blue ground. 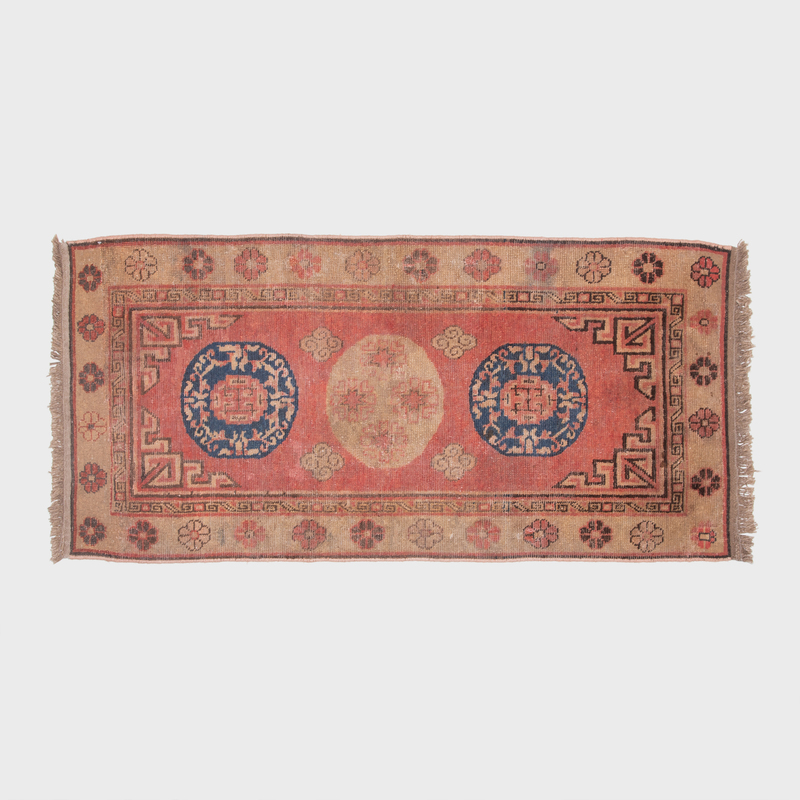 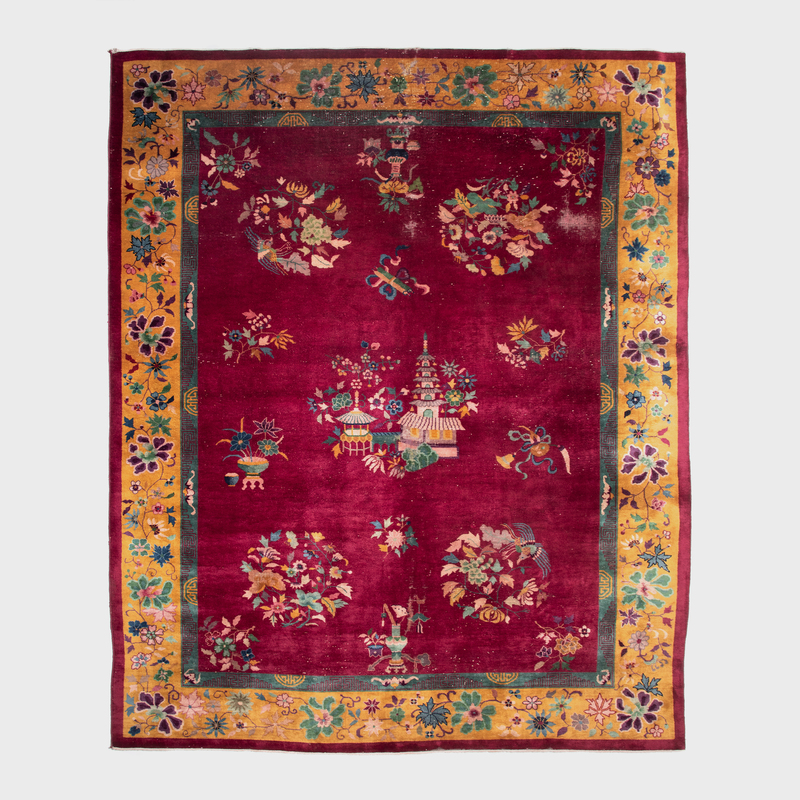 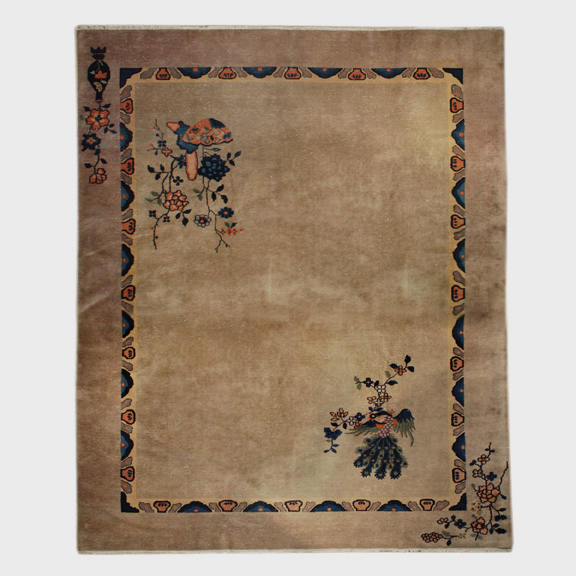 Made around 1920, the rug has the simple, modern elegance of the Art Deco style that so captivated Chinese consumers. 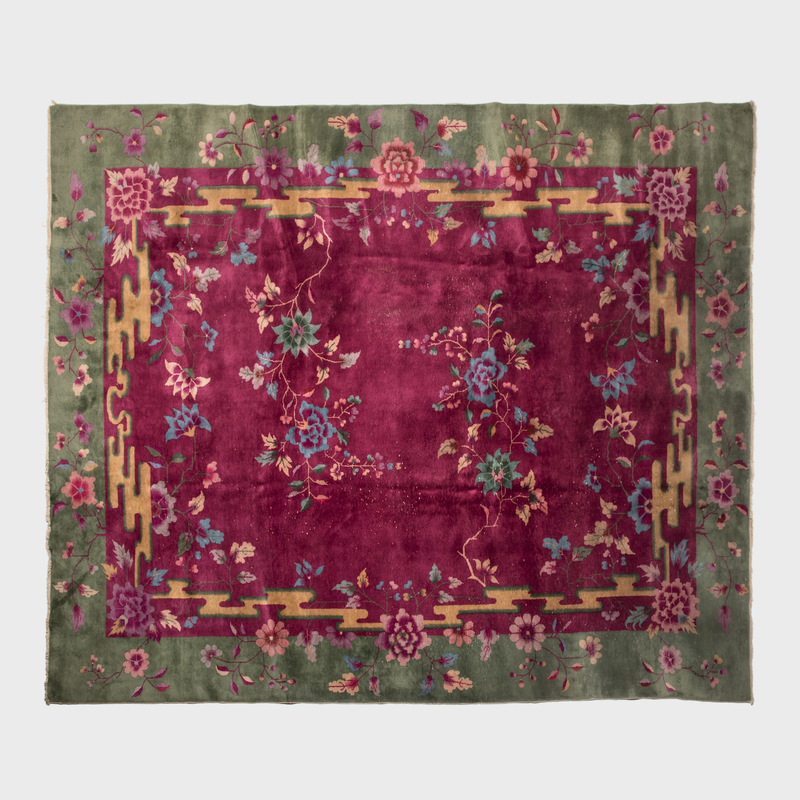 We particularly love how the textile designer played with space, creating a trompe l’oeil effect with the floral vines at the corners.